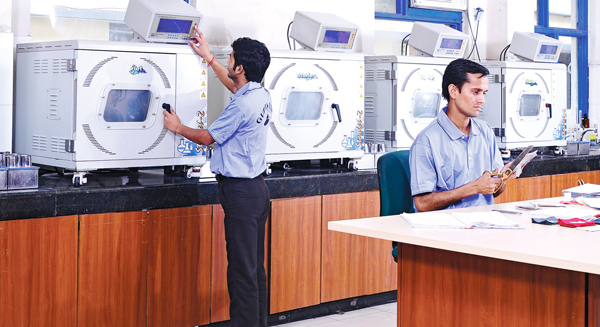 Gupta Exim stands for quality, integrity in its processes and delivering highest levels of customer satisfaction. These essentials are largely drawn from its core belief in working only on the best and for the best. The company has well defined quality parameters to transfer okayed fabric for dyeing. 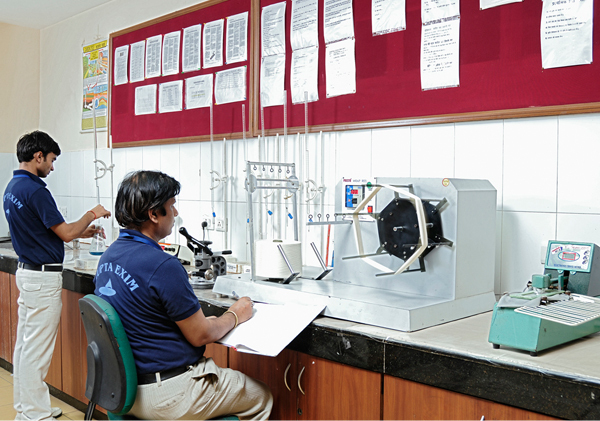 A well-equipped Research & Development Lab is in place to materialize improvements in products, productivity and production as a whole. 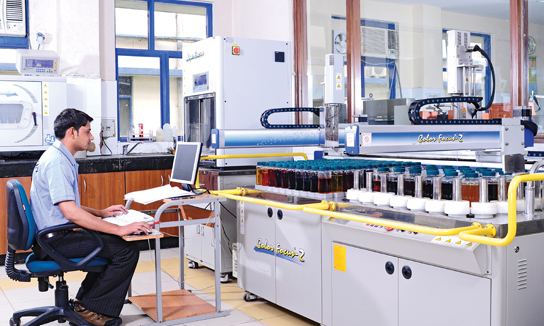 The Dyeing lab is equipped with Robotized color dispensing unit, lab dye machines, Spectrophotometer and other necessary equipment to ensure consistent product quality. Complementing the company’s commitment to research, the quality assurance team is always working towards achieving finest quality products. We dye lot sizes ranging from 800 lbs. to 2400 lbs. We also dye smaller lot sizes ranging from 25lbs to 550 lbs. Gupta Exim follows stringent quality checking and testing procedures at the time of procurement of raw material as well as after production. The in-house Greige Store inspects all the incoming fabrics before scheduling delivery to the processes in hierarchy. The company achieves perfection in delivery by infusing stringent checking and validation processes across the entire manufacturing mechanism. All the products are checked for consistency in quality across all the stages by the final inspection department.